#Security, #Protection, #Sensitive data, #Data breach. Almost on a daily basis a big company reveals a huge data breach. Information has been leaked onto the web and people suffer when private information is made public. Yahoo, Talk Talk, LinkedIn and Dropbox have all had recent data breaches. These are big names and have been well publicised by the press, with the details, the impact of the breach and ultimately the fine for failing to protect the sensitive information they hold … But are these the only companies to be breached? More and more hackers are targeting smaller businesses who have less (or no) intrusion detection systems but these are not often publicised in the press. Would your business know of a data breach? 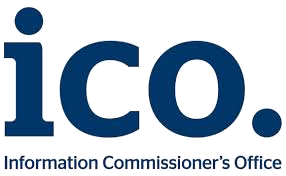 The Information Commissioner’s Office (ICO) are stepping up fines for small organisations who don’t put security measures in place and leave data vulnerable. This is not a laptop belonging to MI5 or the Police. This is a small nursing home who did not protect patient information. Have your staff ever taken home a laptop containing sensitive information? New laws will come into effect (GDPR) in 2018 allowing the ICO to issue fines of up to 4% of global TURNOVER for a data breach. It’s time to secure networks and ensure customer information is safe and secure.